The Oracle Applications Users Group (OAUG) is committed to the education, networking, and advocacy of Oracle Applications users. Each year during Oracle OpenWorld, the group hosts special interest group (SIG) meetings as well as additional opportunities for networking and education. Learn about the direction for the organization this year as Christine Hipp, OAUG President, outlines the OAUG’s plans to support customers at Oracle OpenWorld 2018. What sessions or workshops does the OAUG have planned this year? 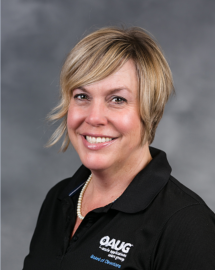 Christine Hipp: OAUG members will be leading educational and networking sessions to represent the Oracle Applications users community’s areas of interest and success stories during Oracle OpenWorld 2018. While some OAUG members maintain some portion of their Oracle Apps on premises, a lot of them are venturing into cloud solutions. Several of our members will share how they evaluated and planned for adopting cloud solutions and overcame challenges to get there. One of our member-presented sessions looks at a migration from EBS on-premises to the cloud [CAS1664]. Another session presents how an OAUG member organization fully adopted out-of-the-box best practices with Enterprise Planning and Budgeting Cloud (EPBCS) [CAS2810]. Another customer case study [CAS1302] looks at a university’s BI and Analytics journey to the cloud. The full list of OAUG member-led sessions is available online. What is the OAUG planning that is new for the 2018 Oracle OpenWorld conference? CH: We invite everyone to visit the OAUG membership display in The Exchange in Moscone South to learn more about the value of membership in the Oracle Applications Users Group. Members and prospective members will learn more about how the average OAUG member can expect a 300% return on investment on their membership through valuable educational resources and networking opportunities. We will also be demonstrating the new OAUG Career Center, a comprehensive jobs board that allows Oracle customer organizations to post IT positions specifically requiring Oracle Applications expertise. Hiring organizations can post jobs, search resumes and review applications. Job seekers can create a professional profile, set up job search agents, post a resume and apply for jobs at https://oaug.org/careers. And, new members who join the OAUG at Oracle OpenWorld will be able to take advantage of special discounted pricing on a full year of membership that connects them with other Oracle Applications users around the world for information sharing and problem-solving. What are issues that you will address at OpenWorld? CH: We would like to ensure that Oracle OpenWorld attendees know that they have a user community that can help them. Our members are here to share their stories and to provide success stories and lessons learned to those who are embarking on the journey to the cloud. What trends do you think attendees will be interested in this year? CH: Many of our members are maintaining their use of EBS while actively and enthusiastically planning for and beginning to adopt cloud solutions. We also have members with BI / analytics solutions that are in similar positions. As a result our members are very interested in the sessions that Open World offers on “hybrid cloud”. The announcements at OpenWorld often signal the direction for Oracle for the coming year. How will OAUG follow up with members on what is introduced at the conference? CH: Thousands of Oracle Applications users connect through the Oracle Applications Users Group to share best practices and solutions. Through the OAUG, members have unlimited access to the resources and answers they need to do their jobs better. And, members rely on the OAUG to keep them informed of new developments and announcements from Oracle. Members stay informed through timely OAUG blog posts and via our weekly OAUG Insider newsletter. In addition, OAUG members can look forward to attending COLLABORATE 19 in April to learn more about how the announcements made at OpenWorld will impact them.